The cyber police have identified hackers behind it. The Kyiv department of the Security Service of Ukraine (SBU) has learnt about "another information leak" being plotted ahead of the 31 March presidential election. 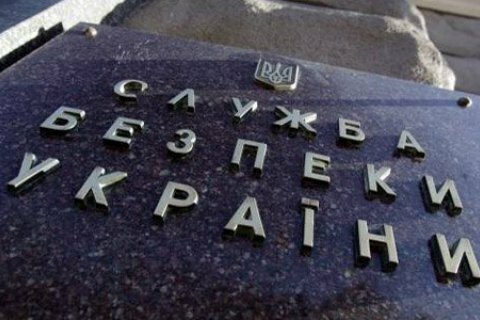 "According to information available to the SBU, another 'leak' in the information space is being plotted, which allegedly concerns an exchange of messages between the leadership of the SBU and the Interior Ministry ahead of the coming election of the president of Ukraine," the SBU said on Facebook. The SBU noted that the "letters" allegedly planned to be leaked have the wrong format, contain grammar and spelling mistakes, and do not meet the documentation regulations. The service urged the media to check information before they publish it. Simultaneously, the cyber police said that they had identified hackers who were sending fake letters on behalf of Interior Minister Arsen Avakov, describing the "rules" of behavior at elections. "The account from which fake letters were sent was created in Russian on 21 March 2019. The criminals used anonymizers to avoid being identified. Fake letters called on members of the police who will protect public order on election day to carry out actions in favour one of the presidential candidates and pay "special attention" to violations of the law by members of election commissions and observers representing this candidate's competitor," the police said. Earlier, the Interior Ministry set up an interagency HQ which will work around the clock in the week preceding election day.